Looking to spruce up the garden a bit? Perhaps this great Garden Crafts e-Book will give you some inspiration. Lots of great garden related ideas and they range in skill level....some the older kiddies can even tackle themselves. Click here to download your FREE copy here. I am one of the Editor's at FaveCrafts. I just wanted to thank you for posting our Garden Crafts eBook on your site. 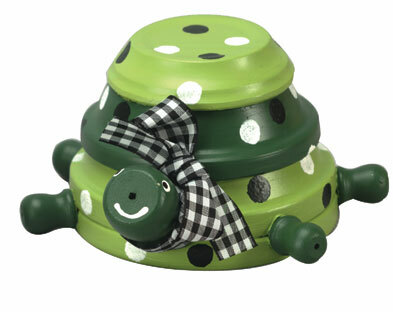 I absolutely love the garden turtle made of pots, it's so cute. Be sure you check our site daily for new and exciting crafts, for we are always adding and updating our site.